Our expertise in this domain have enables us to offer a qualitative range of Industrial Conveyor to our valuable clients. Manufactured using superior quality mild and stainless steel, these products are designed to meet the variegated demands of the customers. Used in high temperature conditions, these products are used in various industries. Further, customize these products in various shapes and sizes, as per the requirement of the customers. Our domain expertise has enabled us to come with an excellent collection of Trough Conveyors. Designed and manufactured under the strict supervision of our professionals, these conveyors can be availed by the clients in form of inclined and straight as per their requirements. Moreover, our offered trough conveyors find their applications in areas of coal packing, cement, food industry, sand & gravel and package handling. Customers can avail these products at market leading prices. Being a customer-focused organization, we are engaged in offering a wide assortment of WormConveyors. Our offered conveyors are developed by us in mild & stainless steel construction. 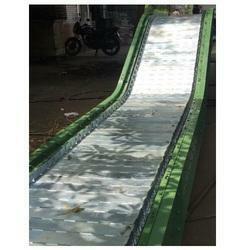 We offer these conveyors to the customers in variegated sizes and shapes as per their needs. These conveyors are installed with advanced techniques, heating & cooling options, quick removable seals for easy and efficient cleaning. Moreover, we offer easily adjustable RMF wear strips suspend to auger above trough, extending service life by eliminating wear resulting from auger rubbing directly on trough. 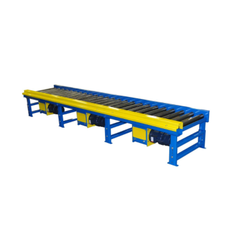 Owing to our vast experience in the industry, we are offering Assembly LineBelt Conveyors. Based on cutting edge technology, these belt conveyors can be easily adjustable as per the floor type. The offered conveyors are extensively used in manufacturing plants as well as distribution centers, metal stamping, packaging lines and precision environments. Moreover, these belt conveyors consume less power and deliver more output with higher efficiency. In order to fulfill the changing demands of our clients, we are offering a quality range of Apron Conveyors . These conveyors provide an ideal solution for applications like conveying & transferring a wide range of material such as desiccated coconut and fine chemicals through critical processing conditions like dry air, high temperature steam, chemical acids and hot oils. Moreover, customers can avail these apron conveyors from us at market leading prices. Our organization is counted amongst the most distinguished manufacturers, exporters and wholesalers of a quality assured a range of Scrapper- Redler & Pusher Conveyors. 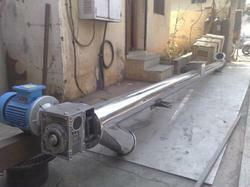 The offered conveyors are fabricated by the experts using finest grades of mild and stainless steel. These conveyors meet the varied requirements of various industries and are widely used in high-temperature conditions. Moreover, these conveyors can be availed by the clients in customized forms like sizes and dimensions as per their needs. 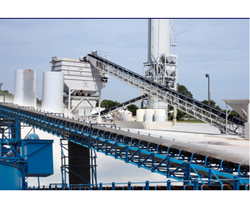 Being a customer-focused organization, we are engaged in offering a wide assortment of Screw Conveyors. Our offered conveyors are developed by us in mild & stainless steel construction. 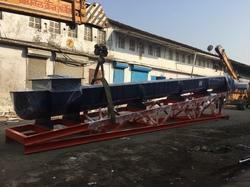 We offer these conveyors to the customers in variegated sizes and shapes as per their needs. These conveyors are installed with advanced techniques, heating & cooling options, quick removable seals for easy and efficient cleaning. Moreover, we offer easily adjustable RMF wear strips suspend to auger above trough, extending service life by eliminating wear resulting from auger rubbing directly on trough. Pallet Conveyors are used to automatically transfer Standard Pallets, Slave Board, Boxes and Cartons having Flat Bottom Base from 50 to 1000 Kg load Capacity. Automatic cascading operations for handling the Pallets with Production and Movement cycles for the Fork Trucks or other handling equipment are easily integrated. 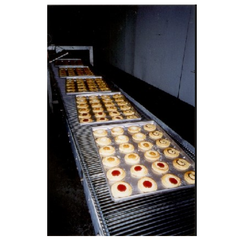 With our promise to provide an excellent to the customers, we are involved in manufacturing, exporting and wholesaling a comprehensive range of Industrial Conveyor Ovens. These conveyor ovens are accurately designed and engineered under the guidance of our professionals using high quality raw material and advanced technologies. 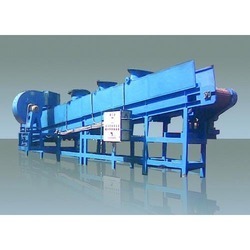 The offered conveyor ovens are widely used for drying ink after printing in varied industries. Moreover, we offer these conveyor ovens to the customers in both standard as well as customized forms so as to meet the customers' specifications and demands. 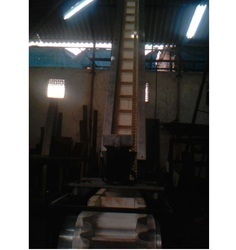 Owing to our vast experience in the industry, we are offering CleatedBelt Conveyors. Based on cutting edge technology, these belt conveyors can be easily adjustable as per the floor type. The offered conveyors are extensively used in manufacturing plants as well as distribution centers, metal stamping, packaging lines and precision environments. 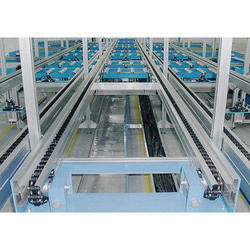 Moreover, these belt conveyors consume less power and deliver more output with higher efficiency.